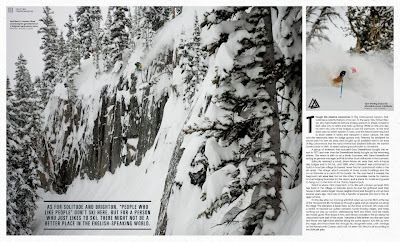 The December 2011 issue of Powder Magazine featured an in-depth article about Salt Lake&apos;s Big Cottonwood Canyon, home to Brighton and Solitude ski resorts. Compared to the popularity of Little Cottonwood Canyon, the glories of Big Cottonwood are often overlooked - so it&apos;s nice to see Big Cottonwood get some attention in the ski world. 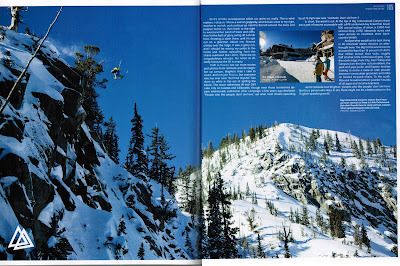 It&apos;s not as steep and prolific as Little Cottonwood, but if you know the right spots, it can be epic. 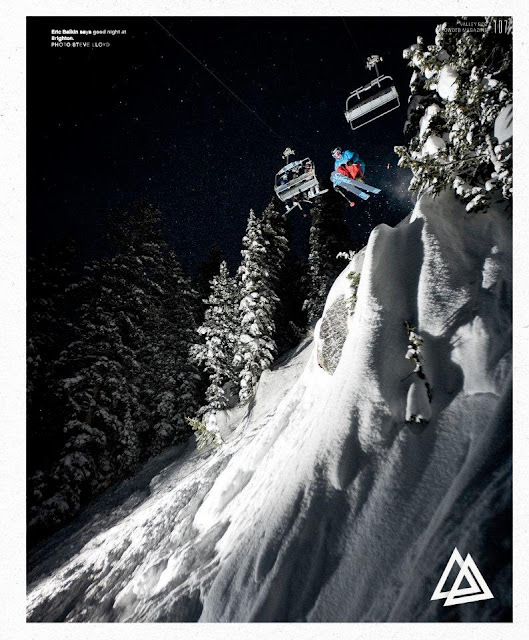 Another shot of Carston by Steve Lloyd at one of our favorite backcountry zones outside of Brighton. If you look closely, you can see me lurking in the trees above the cliff.